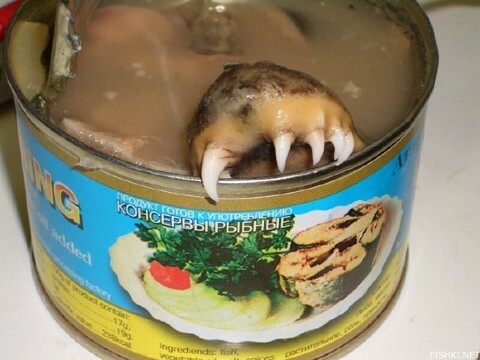 In Soviet Russia, Canned Fish Eats You | FISHING FURY - A Fishing Blog with Attitude! The can says the first ingredient is fish… but it looks more like a lamprey to me. Its pretty freaky looking, but I would say with 99.9% certainty it is a salmon. 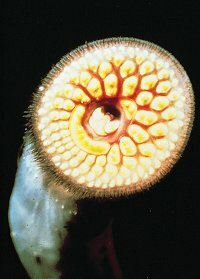 Lamprey have a round mouth.